Committee Republicans told USTR Robert Lighthizer that it would be a “paradox of enormous irony” if Congress passes a pro-growth tax bill and a U.S. exit from NAFTA causes a farm recession and tanks the stock market, Senate Agriculture Committee Chairman Pat Roberts, R-Kan., told Bloomberg. “I think Bob gets that,” Roberts said, adding that Commerce Secretary Wilbur Ross and others in the administration might have different ideas. Lighthizer met with Roberts and other Finance Committee Republicans Dec. 19. USTR spokeswoman Amelia Breinig told Bloomberg that Lighthizer has had similar sessions with Republicans and Democrats on the House Ways and Means and Senate Finance committees. The three NAFTA countries are preparing for a negotiating round in Montreal Jan. 23-28. The talks have stalled over U.S. demands for a sunset clause to terminate the pact after five years unless the parties agree to renew it and a new requirement for 50 percent U.S. content in automobiles, among other matters. The President has repeatedly threatened to pull the U.S. out of the pact if he can’t secure a better deal. When asked about a possible contingency plan if the U.S leaves NAFTA, Roberts said that there is some talk about legislation to use Commodity Credit Corp. funds to offset the damage to U.S. farmers that a NAFTA exit would cause. “We could consider that in the farm bill,” he said, adding that it would be best to prevent the NAFTA pullout from happening. The Commodity Credit Corp. was established to stabilize, support, and protect farm income and prices. Roberts said Lighthizer also discussed a sunset clause to terminate new trade deals after five years. 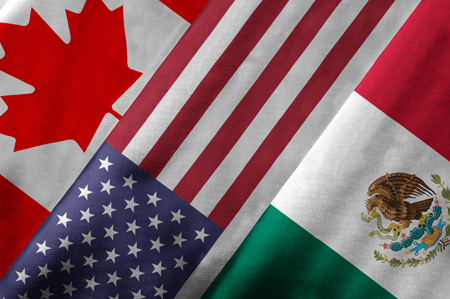 The U.S. has proposed five-year sunset clause in the NAFTA talks, but Mexico and Canada say that such a clause would create uncertainty in business relationships. Roberts said he didn’t think anyone would sign on to that approach. A spokeswoman for Senate Finance Committee Chairman Orrin Hatch R-Utah, told Bloomberg that Hatch continues to believe terminating or weakening NAFTA would be detrimental to the U.S. and Utah’s economy, although Hatch supports “modernizing” the pact, she said without providing more detail. Bloomberg commented that the meeting with Lighthizer came as Republican lawmakers are “upping engagement” with the administration to try to prevent the U.S. from withdrawing from NAFTA. Also, Iowa Governor Kim Reynolds told a recent news conference that Iowa’s farmers would fight for NAFTA. She traveled to Washington, along with three other farm-state governors, to meet with Lighthizer and Ross on NAFTA and said she told them, “if you think they’re going to stand down and just let this be a negotiating tactic, they’re not. You’re going to hear from me and you’re going to hear from Iowa farmers about the impact that this would have on the ag economy not only in Iowa but in the Midwest and across this country,” she said. Ag committee chair Roberts and others across agriculture no doubt have clear memories of how unsuccessful Carter administration policies were in their efforts to offset impacts of the embargo of grain and meat shipments to the Soviet Union in 1980. While the programs used were substantial, the political impact of the market interruption was a political catastrophe for that administration—a fact that Governor Reynolds and Senator Roberts and many others can be expected to remind officials repeatedly as the trade talks continue, Washington Insider believes.